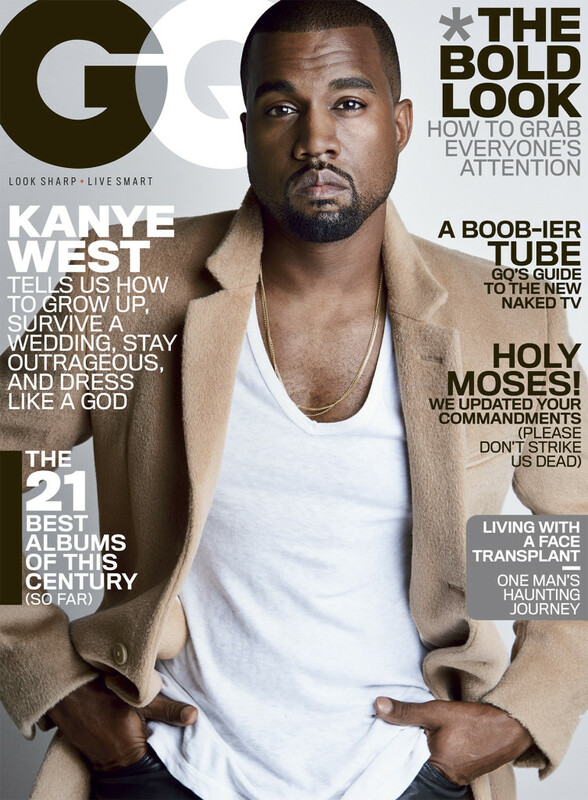 We would expect nothing less than a candid interview with Kanye West in the pages of GQ’s August 2014 issue, which features the rapper on the cover. Inside, he discusses his public persona, his reputation, his music, his style and his marriage to Kim Kardashian, including rumors about his romance with Kim Kardashian. • “I am a black American male from Chicago who had my rehearsal dinner at Versailles and then got married in Florence with a view of the entire city,” he proudly says, referring to his May 24 wedding.